Online gambling operator 32Red has been hit with a £2m penalty for failing to protect a problem gambler. One customer was allowed to deposit £758,000 with the firm with no money laundering or social responsibility checks. 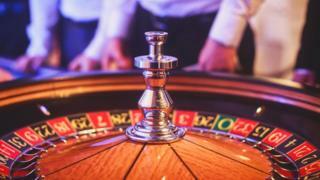 The Gambling Commission said the penalty also related to money laundering failures. Kindred, which owns 32Red, said it accepted the penalty and was "working hard" to improve its processes. The Gambling Commission's investigation focused on 32Red's dealings with the customer between November 2014 and April 2017 during which time there were at least 22 incidents indicating the customer was a problem gambler. "Instead of checking on the welfare of a customer displaying problem gambling behaviour, 32Red encouraged the customer to gamble more - this is the exact opposite of what they are supposed to be doing," said Richard Watson, the commission's executive director said. "Operators must take action when they spot signs of problem gambling and should be carefully reviewing all the customers they are having a high level of contact with." There had also been previous incidents highlighting the gambler's problems but instead of scrutinising these, the customer was offered bonuses to carry on placing bets. The Gambling Commission said 32Red should have reviewed the customer's accounts in August 2016 but one was only conducted in January 2017, when a win of more than £1m was instantly gambled again. The customer took five weeks to respond to requests about their financial position and failed to offer support when the information was provided, the commission said. The payslip and report of commission for work was "not credible and showed volatility in receipted income", according to the Gambling Commission. These showed a monthly net income of £13,000 but average monthly deposits were in excess of £45,000. The customer's average monthly net salary was actually £2,150. Asked if the customer had stolen the money to gamble, the Gambling Commission spokesman said: "The source of the customer's wealth was not known to 32Red because they failed to fulfil their anti-money laundering obligations. We cannot comment on any other proceedings that may be active." The largest penalty imposed by the Gambling Commission was the £7.8m penalty on betting firm 888 in August 2017. 32Red was taken over by Kindred, a Swedish online betting company, in June 2017.